When it comes to his new video for “Myystic,” though, the preferred mode of transportation is more stroll than roll. A wander through New York City—Times Square and Chinatown included—”Myystic” is a kind of city symphony, a “Man With The Movie Camera”-type affair that sees cars spilling illumination on asphalt in lazy halos and preening women getting their eyebrows threaded as the unseen protagonist ambles through the urban landscape. The song, which Maine recorded under his Ronald Paris moniker with Frankie Cosmos, is a spare rumination on what it means to make things—to be a kind of artistic mystic (with two “y”s, because it looks cooler). “It's just the idea of when you consider yourself an artist and then sometimes you're brilliant and creating really good stuff, I guess that would be when you're feeling like a mystic,” Maine says. “And then there's always the times when you question the art that you're making and feel kind of stupid… like a fishstick. It's a funny rhyme,” he adds, referring to one of the song's quirkier lines. As with Porches. 's last LP, Slow Dance in the Cosmos, “Myystic” blends wry sentiments like the one above with a kind of tonal darkness to create what has been called “bummer-pop” in the past. Still, the song, which Maine recorded for an upcoming split with Mdou Moctar, adds new elements to the Porches. sound, specifically auto-tune. “Myystic,” and the other two songs on the cassette, have a less-folkier sound than Porches., according to Maine. The musician grew up with a folk singer father in Pleasantville, New York, where his earliest memories included watching his dad play guitar at open mic nights. Consequently, Maine's own sound used to be more guitar-centric, until he discovered a Casio keyboard on tour with an old band and started messing with the pre-recorded effects. 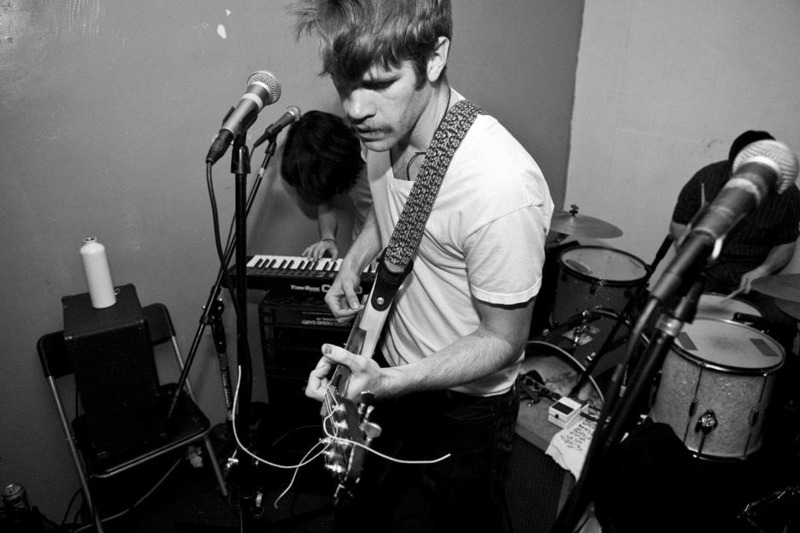 Thus, Porches. was born—and evolved as Maine added new tools and tricks to the mix. Whatever that niche may be, however, we're sure it will score perfectly any and all nighttime highway rambles. The Porches./Mdou Moctar Split drops on April 15 on Seagreen Records.